Shipping lead time for complete systems run between 3-5 working days. We ship Monday-Friday, except holidays. Once your item ships, tracking information is sent to you via email. No shipments are made on Saturdays, Sundays, and holidays. SodaParts.com is not responsible for delays in shipping due to weather, mechanical failures, typographical and/or transcribing errors and other factors beyond our control. SodaParts.com will ship internationally. All shipping, taxes, and duties will need to be paid by the customer. SodaParts.com is not responsible for taxes or duties incurred by other countries. Currently all ground shipping is done via UPS services. Minimum fees are based on product size and weight. Total shipping fees will be calculated by quantity of units ordered mulitiplied by the fee for that item. System orders will be shipped in 2 to 3 boxes. UPS Special Service rates are available and must be quoted separately. Please call us for these rates. All of the under counter ice maker systems are required to ship via freight. Contact us for the added shipping services you need. Our under counter ice maker systems come securely wrapped and banded to a pallet, ensuring safe arrival. Please read and understand this section. Damaged shipments do occur. All shipments must be thoroughly inspected for any sign of damage. For all shipments, the packaging should be saved in good order in case a return needs to be made. If there is visible damage or you feel there may be concealed damage to the packaging, carefully unpack and inspect the contents of the shipment. If the contents are damaged, you need to sign the signature confirmation and note the damage. Once you do this, please inform us immediately. 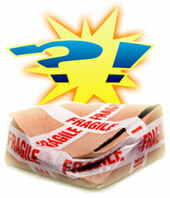 If the contents are not damaged, there is no need to inform us of the damaged boxes. If damage is concealed and you did not make a note on the UPS weigh bill signature confirmation, you have 48 hours to report the damage to SodaParts.com. Damaged items will be replaced or repaired at no cost to the Buyer. All replacement shipments will be shipped standard economy service. Special or expedited shipping service of replacement items will be performed at the expense of the Buyer. Shipments that have been accepted by the Buyer, but have concealed damage, will be remedied as soon as possible.